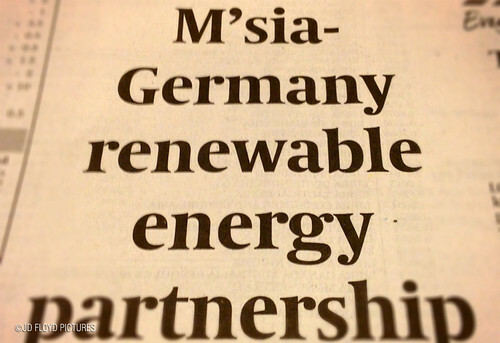 Malaysia has a good working and education relationship with Germany and in fact the Feed-in Tariff for Renewable Energy in Malaysia is in some ways adopted from the one implemented in Germany. Malaysian-German Chamber of Commerce and Industry (MGCCI) is one of the entities that ties the two countries in economic matters. Each year MGCCI receives about 2,000 enquiries from Germany and out of this, 20% expressed interest to participate in Malaysia's RE business. The remaining 80% were involved in traditional businesses, mostly in green-related and energy efficient ventures. MGCCI General Manager Thomas Brandt said in Malaysia biomass was currently the cheapest form of RE and had the highest availability in terms of renewable energy resource. But there were still few major barriers in developing biomass technology extensively here. If Brandt is taken for his words, FIT rates of between 50 to 60 sen per kWh for a span of 21 years should be a more attractive proposition and there would be better participation from plantation companies in Malaysia. Renewable Energy Fair - "Intersolar 2012"
On the card, there is a business trip to Germany by Malaysian companies in June 2012 and this could be use by Malaysian renewable energy players to learn or benchmark their current practices on the R&D of solar and green technology in Germany. Germany is hosting the world’s largest solar trade fair “Intersolar 2012” in June, and a business match-making together with a visit to a famous solar power plant atop the highest mountain in Germany are some of the programs in store for participants. Intersolar 2012 will be the world’s largest gathering of manufacturers, suppliers, distributors, utility and service companies in the solar business. The Green Mechanics says: I wouldn't have a lot of complaints if the government spend some tax-payers' money to send delegates to a conference such as this one. But it must ensure that there are beneficial plans and actions following such visit.